The National Institute of Mental Health defines depression as, “a common but serious mood disorder,” which “causes severe symptoms that affect how you feel, think, and handle daily activities, such as sleep, eating, or working.” It is estimated that over 100 million people worldwide suffer from some form of depression. Contrary to what I once believed, Christians are not exempt from becoming depressed. 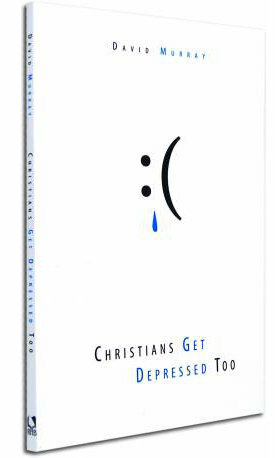 David Murray argues this point in his small but powerful book, Christians Get Depressed Too. If I had to choose one word to describe this book, it would be “liberating.” That’s because Murray winsomely dispels many of the misconceptions which contribute to the stigma associated with depression. His fundamental premise is that our brains, like the rest of our bodies, have been affected by the Fall. In less than 120 pages, Murray explores why we ought to study the topic of depression (chapter 1), cautions against simplistic extremes when considering the causes of depression (chapter 2), defines depression (chapter 3), discusses the various causes of depression (chapter 4), provides guidance on dealing with depression (chapter 5), and counsels friends, family members and pastors on how to support and care for those who are depressed (chapter 6). Like any other book, you’re not going to agree with everything Murray says. However, as someone who has dealt with depression, I believe this book will prove to be an invaluable resource.